Dubai Painting Contractors specializes in residential and commercial projects. We have an in-depth knowledge of painting products and techniques. Trust our experience and reliability. We look forward to serving you! 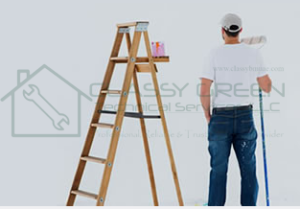 Our professional Dubai painters have experience with projects big and small. 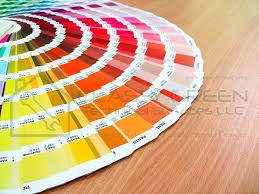 Our painters can suggest the perfect colours for each room in your home… Let us help…!!! Experienced. Reliable. Clean. Honest Painters. Bring warmth to your home or office with paint. Exterior and Interior Paint Finishes that last. Price, reliability and quality are the core reasons to choose our professional painters. You will get the best value by hiring us. Got a residential painting project? 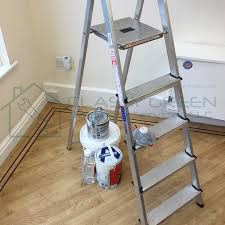 Look no further than Classy Green Dubai Painting Services for your next residential painting project. With expert service, and reasonable estimates, we hope that you will provide us the opportunity to provide you a quote. There are many choices you will need to make if you are going to remodel your bathroom. One of the main choices you will have to decide upon is the color scheme. Instead of giving you a lesson on color theory and defining some terminology, we can skip all that and get down to the real root of picking colors that will please you. Painting your bathroom isn’t that complicated. 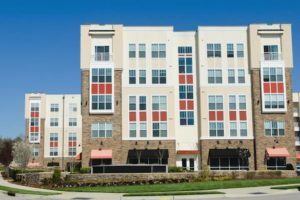 But choosing paint colors can be pretty scary because most of us know that when the wrong colors are used, the area just doesn’t seem right or look right and the whole project just seems to fall apart. Better than to advise someone on what color is perfect for their bathroom, is to advise them on ways to figure out what is perfect for them. To figure out what is right for you, the best road to success is to answer some questions and get to know your likes and dislikes. Every person is different, which is represented by the design in their homes. Color choices are often as original as the individuals making them. Soon after answering some questions, you can begin to figure out and narrow down what colors you should at least start looking at as options. A color scheme is just a set of colors that go together. If you take a look at nature, there are all the colors in the world put together. It seems that even though there are so many colors, they all go together pretty well. Have you seen any colors in nature that look ugly? There are a few, but not many. This should put your mind at ease, because you know then that there really are only a few ways you can mess up the paint color scheme and if you avoid doing them you will likely get good results out of your favorite picks. One way to mess up your scheme is to choose too many colors. Think of a really ugly thing in nature that looks gross. Now that you have the image in your mind, what’s a characteristic of it that might add to the fact that it looks gross? Working directly with you or your interior designer, we can help you create beautiful, personal spaces to complement the interior design of your home and your lifestyle. 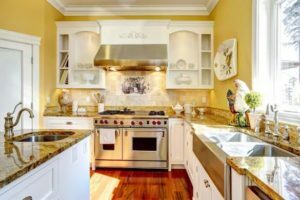 Whether you want to implement new design themes throughout your home, or just spice up a room with a bold accent color, our pros have the knowledge and experience to create whatever you desire. Flat paint is a matte finish. It does not reflect light and is perfect for concealing minor imperfections, wear and age. If there are major problems with the walls, consider patching or replacement before painting. Semi-gloss is shinier than flat, just like you would expect. Because of that sheen, it will reflect light better. That means it will also tend to highlight imperfections like uneven surfaces and dings. If the interior walls are new, semi-gloss is the choice. Both types are durable and washable. Flat paint has a tendency to show the dirt more readily because of its porous surface. Semi-gloss is somewhat more durable and is generally recommended for high traffic areas, such as children’s rooms and baths. Semi-gloss is easier to simply wipe clean since its surface is more slippery and less porous. 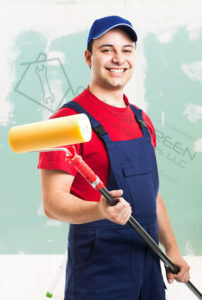 Discuss your needs with a paint professional at Ottawa Painting Contractors. We will offer free consultations. Prepare and bring a list of your needs and lifestyle. Include age of the home, activity level including children, pets and entertaining. With our help you can decide on the best alternative for you and for the long-term satisfaction of living in your home. Working directly with an interior design professional can help you achieve the look and feel of personal spaces that reflect your personality and lifestyle. Whether you are working on a single room or the entire home, or just looking for some new accents to enhance your current furniture, interior designers are the people to see for the experience to create the feeling you desire. 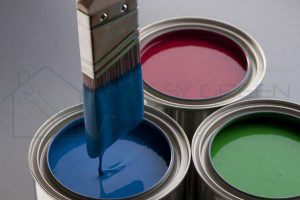 If painting service is high on your priority list, a designer is the expert on color trends and emerging styles. They can customize your home within your budget constraints and specifications. As you spend more personal time in your home, this private space should reflect your character and individuality. Color and accessories mirror your interests and persona and will present remarkable details of your personality. Today one of the hottest themes is the use of soft colored paints on large surfaces. Light greens and blues, citrus yellows, and pale pinks and lilacs cover walls and ceilings. Accents of more vivid, sharper hues like reddish-pink and brown-purple are used to impress. Wallpapers and fabrics will continue the theme and liven each room. Your paint supplier will work with you and/or your interior designer to make your home reflect your vision. Experienced painters can create your personal projection that is unique and beautiful. They can help select colors that will harmonize from room to room and suggest finishes that will include specific looks or textures. Our Professional Painters will help you select the best products for each phase of the project and remain within the established budget.